In a hard-fought match, Portugal defeated the fierce Croatia 1-0 in extra time to qualify for the quarter-finals of the Euro 2016 at the Stade Bollaert-Delelis on 25 June. The match ended with a goal-less draw at the end of ninety minutes, leaving Portugal frustrated. The game was well-balanced as both teams attacked each other relentlessly. It was Fernando Santos' substitute in the extra-time which did the trick as Ricardo Quaresma scored yet another late goal. Cristiano Ronaldo, who was criticised for behaving in an unruly manner after the Iceland match, showed his soft side when he joined his teammate Pepe to console Croatia's midfielder Luka Modric. 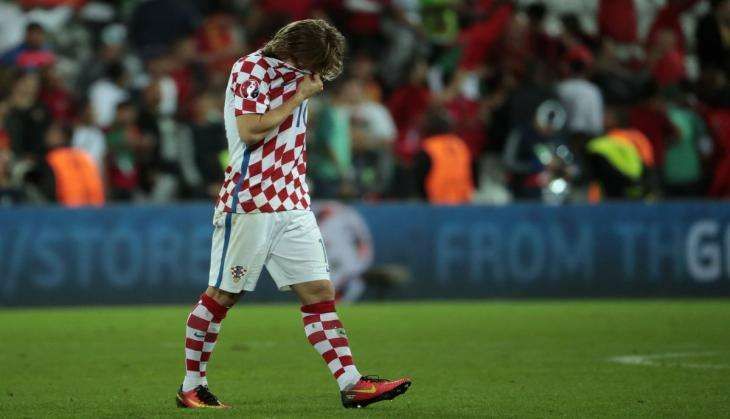 Modric was in tears after the final whistle when he was approached by his Real Madrid team mates.